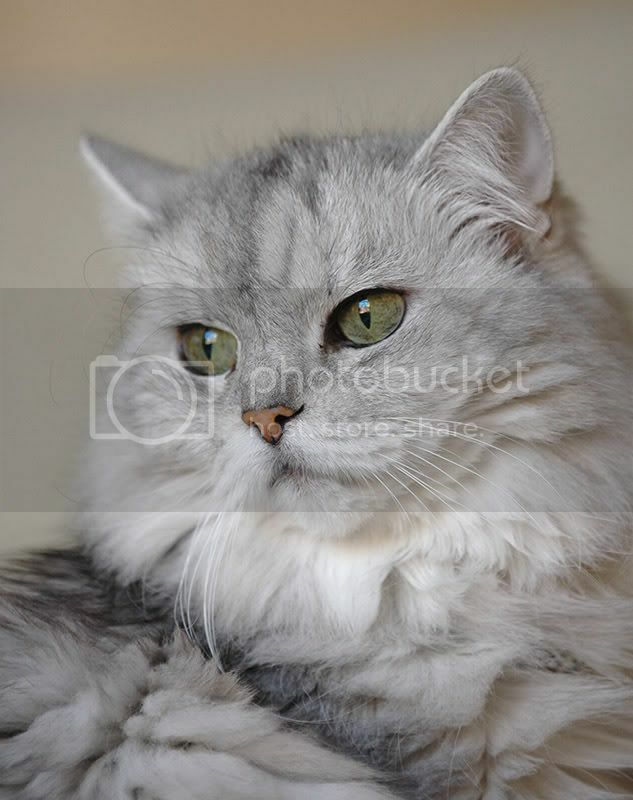 The Persian cat has been the choice of many cat owners for a very long time. Even though their popularity has declined to a certain extend in the past decade or so, the Persian cat is still one of the most sought after cat breeds around. However, one word of caution though, the Persian cat needs a lot of care and grooming especially since it is a long haired breed. It is especially important to groom the Persian cat’s coat at least once a day if not more. If the coat of a Persian cat is well taken care of, its beauty can be really breathtaking. The Persian’s beautiful coat comes in different shades of color in Black, Chocolate, Red, Blue, Lilac, Cream, Chinchilla, Silver, and White colors. White coated Persian Cats can have blue, orange and mismatched eye colors. Besides that, you can also find the Persian cat breed in tortoiseshell, shaded, smoke, tipped, tabby, silver tabby, and bicolor patterns. The beauty of the Persian cat is largely responsible for its popularity among cat lovers and cat owners, but that is not the only reason why the Persian cat breed is so popular. The reasons why the Persian cat is so popular besides being a beautiful cat is their extremely active and affectionate characteristics. For those of you who do mind their active and affectionate nature, this is one of the best cat breeds to have. Besides being active and affectionate, the Persian cat is also quite laid back and will be good for those who have multiple cats at home or even other pets. Persian cats are expected to live for around 15 years to 16 years. Persian cats are a fairly healthy cat breed but there are a few problems that are commonly linked with this cat breed that you need to be aware of such as kidney disease, breathing problems due to their compacted faces, and reproductive problems. Besides these problems, the blue eyed white Persians are especially prone to deafness. As you can see, these are some of the common cat health problems commonly associated with the Persian cat breed but overall if you take good care of your Persian cat’s health, I see no reason why the Persian cat should not be your preferred cat of choice.